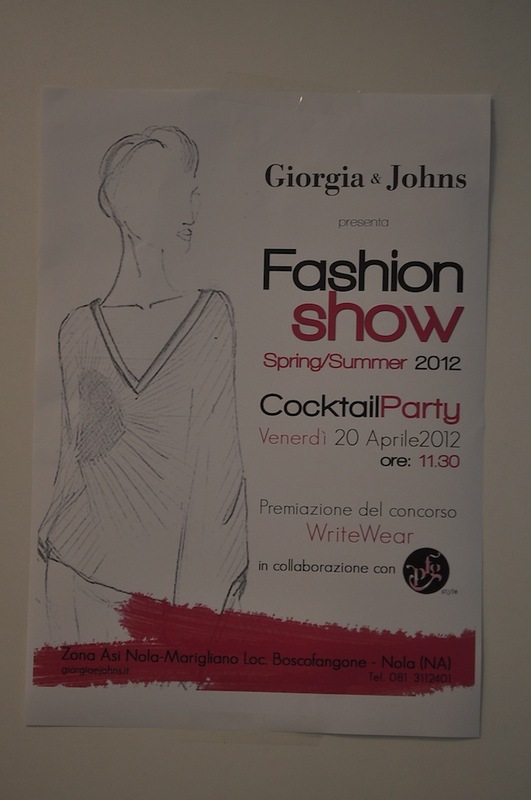 Giorgia&Johns fashion show | Cosa Mi Metto??? 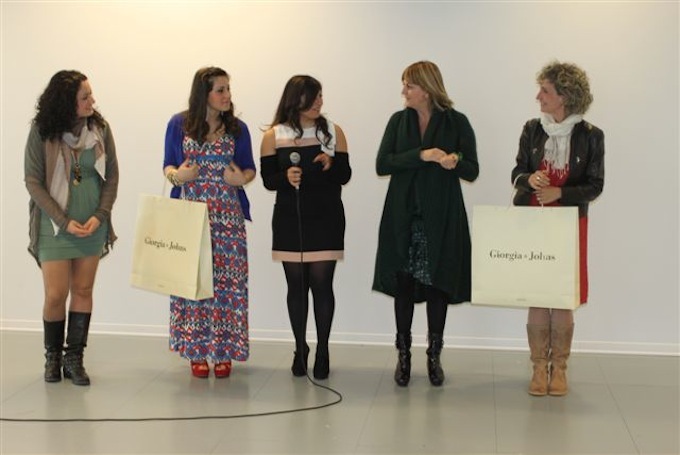 As I told you in yesterday's post in this past week end I wore same clothes on the catwalk in Giorgia&Johns fashion show in occasion of the awards ceremony of the third edition of Writewear, the literary fashion contest organized in collaboration with Patrizia Finucci Gallo. As you might understand by these shoot, it was a really exciting experience! Come vi avevo anticipato nel yesterday's post, nel week end appena trascorso ho sfilato nella sfilata di Giorgia&Johns in occasione della cerimonia di premiazione della terza edizione di Writewear, il concorso fashion letterario organizzato in collaborazione con Patizia Finucci Gallo. Come potrete capire dalle fotografie è stata un'esperienza davvero emozionante! Stai molto bene! Volevo avvisarti che il mio blog ha cambiato look, se ti va passa e dimmi se ti piace! Wow! Just beautiful! The clothes look really nice! Amazing event! As always, you - graceful! Brava! Beautiful post and your outfits are ideal! L'outfit colorato con il jeans capri ti dona tantissimo! Che bella esperienza!! You look great! Great clothes! Those orange pants are great! Bella e brava!!!! Carinissimi i pantaloni rossi con il fiocco davanti.....tutto molto colorato e spiritoso!!! Quando ti va' passa a trovarmi, ci sono nuovi post in attesa di essere commentati!! Chissà che emozione!Stavi davvero bene! WOW...nice event...a lot of impressions...I love it! Beautiful! Nice blog, follow you! Gorgeous! The clothes look wonderful on you! All your outfits looked fantastic! I loved the clothes, you will feel everything very well. surely that was a great experience. amazing! Loved all the outfits you wore! che bella! :) stai benissimo! baci!! in love with these bags! the first one is totally awesome! Lovely stylings and you looked beautiful!! You look amazing with all fo those clothes. you look amazing! gorgeous looks! Wow...I love all the clothes it's beautiful. OOO how fun!! I love the orange pants and the floral top! Oh fun! Love all of your looks :) :) :) You are so pretty! evviva le nuove esperienze!! e che bella tu!! I'm following you on Bloglovin now. you look so great.. i love the first photos.. you look so pretty and stylish !! Bellissimo post! MI piaciono tuti i outfit!!! What a great experience; you look stunning! mi piacciono moltissimo le scarpe nere!!! love your blog, dearest! thanks for dropping by on my blog. you look great! love all of the stylings! Wow! Very cool! Love the black and white outfit! Looks like a fun event! Check out my newest giveaway!! Such a great look - I'm one of your new followers, would be great to follow each other! Hie gorgeus,Of course we can follow each other.Im following you now. i love your blog,you are such a pretty girl! You have simply a great style! I love your hair by the way! Ooh ! your shoes and bag are so beautiful and glamour !!! how fun to be part of a show. you look great! Loving all the looks! You look fab! WAUW! So pretty photos :) love the post! You look so beautiful, and all the looks are also amazing!!! Those orange pants are killer! The little bowtie is such a fun and flirty detail...you're a pro honey, model status! all those outfits look good on you! Absolutely beautiful... - love your outfits... - the black/white combination is amazing...! Such a lovely blog definetly following! Che belle foto, stai d'incanto!! La prima poi èsuper! You are so lovely girl. The outfit you wore was so chic. I love the orange pants. It's awesome. wonderful that you could be part of this! i love the orange pants. you look very pretty. Love your blog! and thanks so much for visiting!! This looks like you had a great time and i love the outfits. You look amazing! What an experience! Love this post!! Gorgeous, all the outfit looks good on you. You are beautiful girl! LOVE those orange pants with the bow, amazing!!!! Wauw such pretty pictures and I know I said it before but you're such a pretty woman!! :-) Ok, follow you also with facebook. These are all incredibly gorgeous! Seems like great experience! You are beautiful and actually each set looks great on you!!! Love these pants! Great color! The black heels are amazing and i'm loving the hair! Everything looks amazing! I do especially love the bow pants though! I do trust all of the concepts you've presented to your post. They are very convincing and can certainly work. Still, the posts are too short for starters. May just you please lengthen them a little from next time? Thank you for the post.